Say you are a comic book store that named yourself after a comic book character. Then the publisher of that character goes and kills them off in a major event. You might be bummed. Or you might just double down and open a second store. 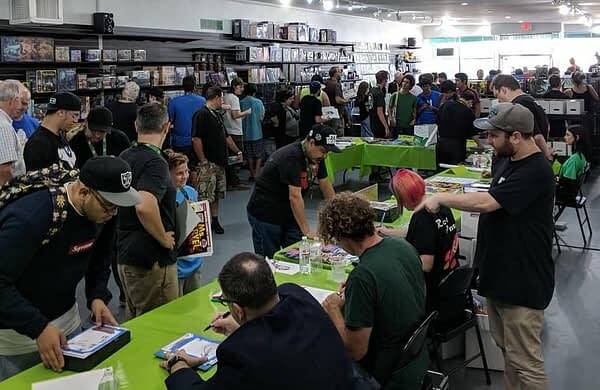 Diamond Comic Distributors has been running special programmes to encourage comic book stores to expand with new outlets, creating chains, as it is seen as a more efficient way of creating new comic book stores than starting from scratch, with very generous start-up packages. 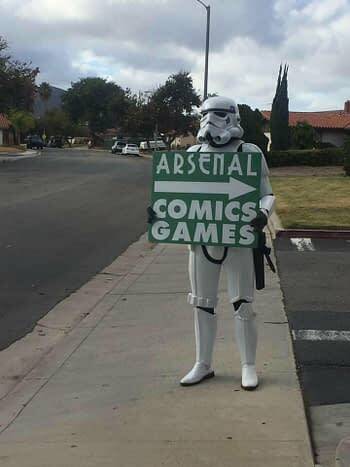 The latest to take them up on that offer is Eisner Award nominee Arsenal Comics & Games, who have a store in Newbury Park, California. 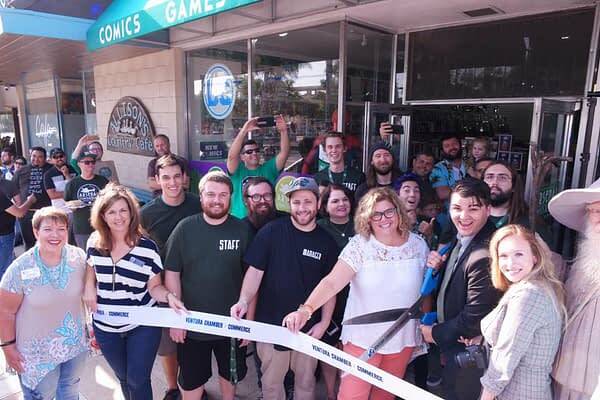 Well, as of the beginning of this month, they also have a second store in Ventura. And it’s a biggun. With big opening scissors to match. The insides are a little more expensive than their other stores as well. And it should be hard to miss. 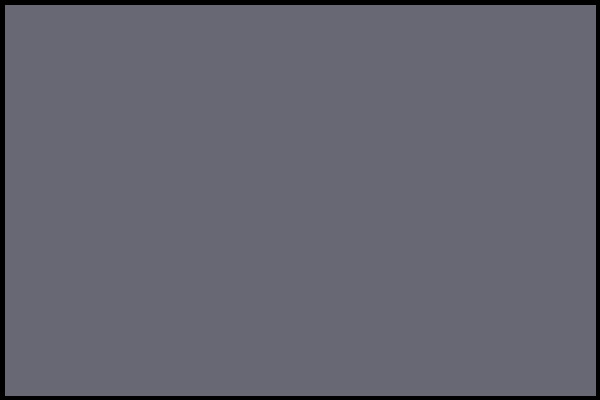 Bleeding Cool is happy to celebrate new comic stores opening, as well as marking when comic stores close. Do let us know when there are new comic book stores opening in your community.